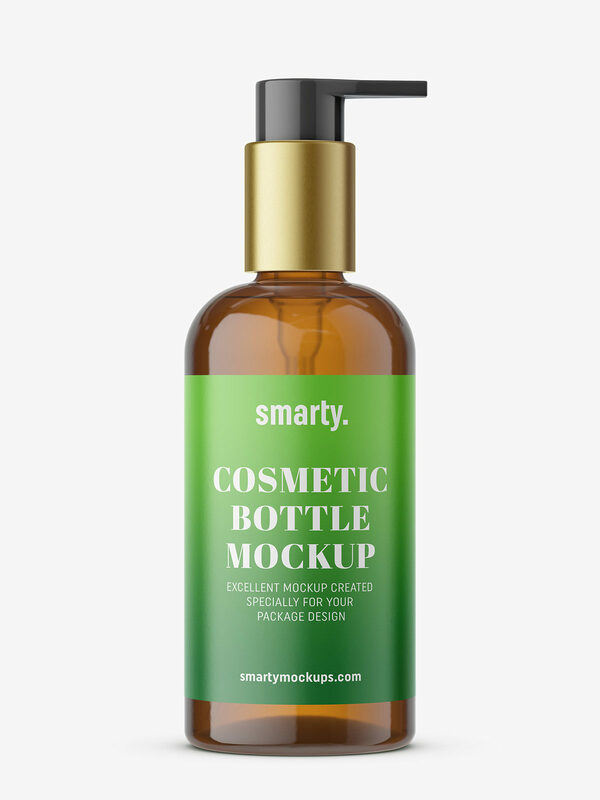 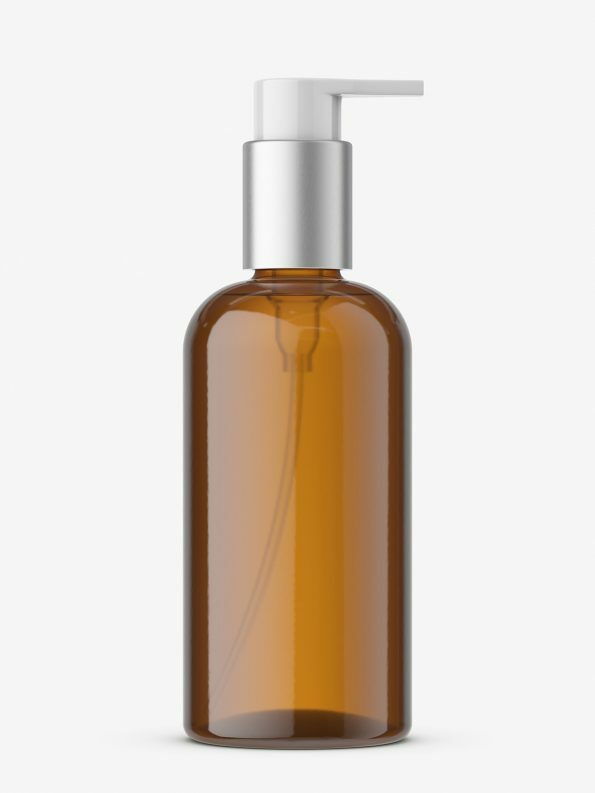 Bottle with simple elegant pump mockup. Such bottle may be used as shampoo, liquid soap or other creams packaging. Very easy to customize.